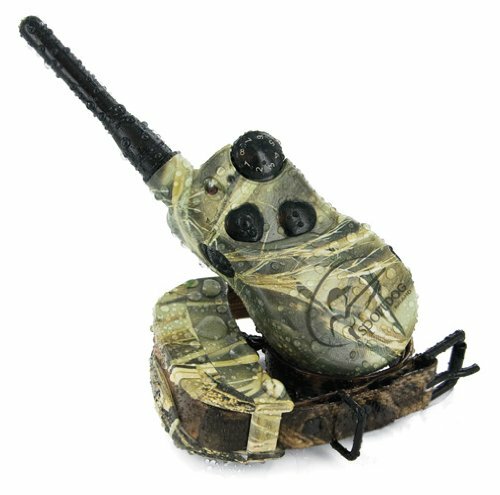 Color: Camo The WetlandHunter 1825 helps you build a customized remote training system toguarantee the best performance from your dog. This electronic remote trainingcollar features a 1 mile range and up to 8 static stimulation levels plusvibration and tone options. Control up to 6 dogs by adding SportDOG BrandAdd-A-Dog collars. Rechargeable Lithium-ion batteries last 40-60 hours percharge. A low battery indicator alerts you to when the unit needs to beplugged in. The fully customizable SD-1825CAMO system gives you theflexibility to program 2 or more transmitters to control the same CollarReceiver.